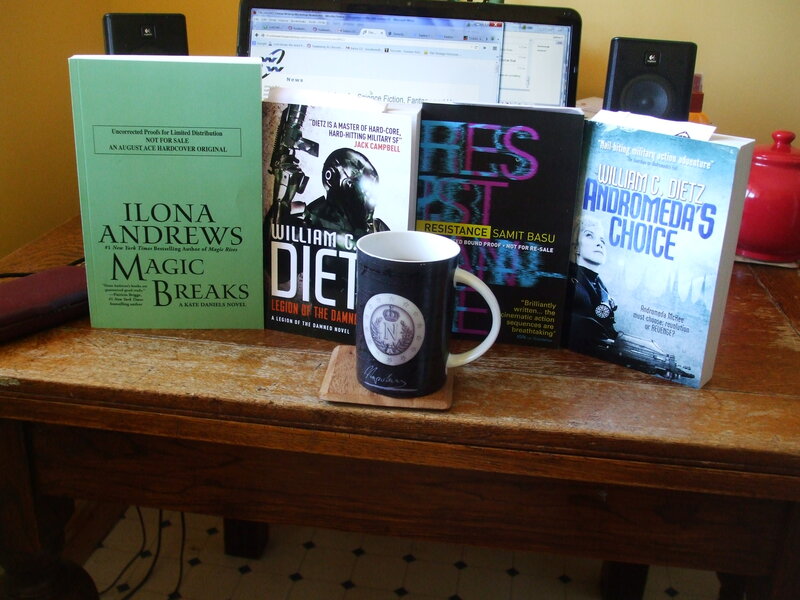 That’s Ilona Andrews’ MAGIC BREAKS (Ace), William C. Dietz LEGION OF THE DAMNED and ANDROMEDA’S CHOICE (Titan), and Samit Basu’s RESISTANCE (Titan). Dear heaven, I am so far behind in everything. It’s not even funny.